RHYS: Nobody knows China better than Nicole Mones,and nobody writes about it better either. We were speakers several years ago at the same conference and I was fascinated by her story of being the first Western woman to do business in Chairman Mao's China. So I read one of her books, was blown away and gobbled up the others. The Last Chinese Chef, part mystery, part culinary journey is my favorite so far. My only complaint--she doesn't write fast enough. 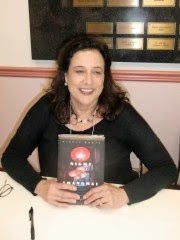 But now I'm smiling again because she has a new book out, Night in Shanghai. I met her a couple of weeks ago at another literary event and snagged her for Jungle Reds. When my friend Nancy and I decided to spend a month in China this fall, we had only one agenda: review restaurants. With my new historical novel Night in Shanghai coming out, it was time to update my restaurant listings in the big Chinese cities—and that meant photos and bon mots for two meals a day. A tough job, but someone’s got to do it, because I don’t want anybody to waste a meal, or even a calorie, on their China trip. This being Nancy’s first trip to China, we did do a little sightseeing… after which we retired to the hotel every late afternoon, to rest and read novels and gird our loins before dinner. That is the right of all women d’un certain age. Finally, this being Nancy’s first trip to China, we devoted the rest of each day to sightseeing—at least, after dawdling over coffee and gossiping for half the morning. We hit some fine restaurants on this trip. In Shanghai, we followed the critics to the Michelin-starred Xin Dau Ji, where phenomenally fresh, plump, pink prawn dumplings were followed by a dish of boneless chicken dusted with Sichuan peppercorn powder and presented atop crunchy fried greens—the final creation adorably called ‘little chicken balls’ in Chinese. Very good, but not amazing. Beijing was also full of restaurants striving to be high-end, including those specializing in exquisite vegan “artifice” dishes (skewered mushrooms masquerading as lamb; a shaped, deep-fried puree of potato masquerading as a carrot; a whole separate menu for rare teas). Ho hum. What we found ourselves dreaming of, and going back to, was simple, street-level food. In Beijing, we ignored our long list of targets in favor of a repeat visit to Zuo Lin You She, a dive-y place specializing in long, cigar-shaped, pan-fried dumplings with all manner of savory fillings… lamb with onions, beef with coriander, pork with chives, tofu with mustard greens, and dozens more we never got to. They also had a delicious shredded-veggie cold plate called, improbably, ‘hot pickled mustard tuber’. In the Yunnan tourist town of Lijiang, in southwest China, near the border with Myanmar, we went back again and again to a street stall that served the most marvelous eggplants, butterflied, griddled to perfection, and covered with minced pork and peppers… a complete and perfect meal. We had it four times. We hated to even leave town. 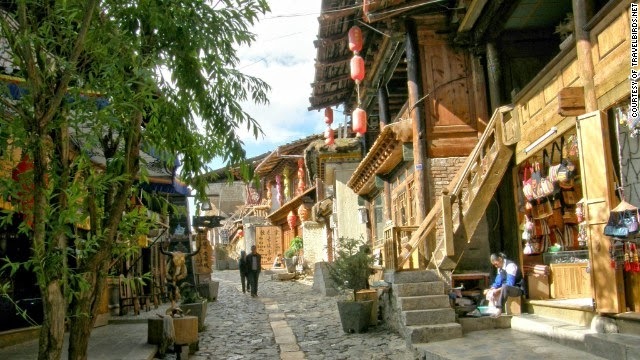 But the single best meal we had last fall was north of there, up on the Tibetan Plateau, in Zhongdian’s “old town” of Dukezong—an ancient, labyrinthine quarter of narrow, hilly, cobbled lanes, lined by old, wood-frame Tibetan houses. It was my second visit to Dukezong, and I knew it was not a cuisine destination, except for two things, yak and wild mushrooms. The mushrooms we found, sautéed to a crispy tangle and sprinkled with salt, but delicious yak was harder. Finally a local woman pointed us up to a small café at the top of a steep, twisting lane, which she said captured “local flavor”. When we walked in, pulling off our gloves, the mother and her two sons jumped up to prepare an unforgettable yak soup… rich broth deep with the grassy, peppery flavor of yak, thickened with lean ground meat, chunky vegetables, and small, chewy, hand-formed orecchiette-style noodles. We ate the entire tureen in awe, while Mom smiled her approval. That soup is not the only reason I’m glad to have stopped for three days in Dukezong. Some weeks after left, on January 11, a heater in a small guesthouse started a fire, which quickly spread. In lanes to narrow for fire trucks, people passed buckets of water from hand to hand, to no avail. It took ten hours for Dukezong, which had stood for 1300 years, to burn to the ground. I bet it will be rebuilt anew, but in charming old style, a toy village that at least provides employment and economic opportunity for local people. And because the toy town will be new, and “nice,” with internet and bars and entertainment, Chinese tourists will be drawn to it in droves, Dukezong people will end up making more money, and with that, they will let go of all that was lost. Nicole Mones is the acclaimed author of four novels about China. Her latest, NIGHT IN SHANGHAI , is the first novel based on the true experiences of African American musicians in the Chinese jazz age—and what happened when World War II exploded around them It's been called "Historical Fiction at its Finest" by NPR. AND... Nicole will give away an autographed copy to her favorite comment of the day. So many yummy-sounding foods to enjoy . . . it certainly sounds like it was an absolutely wonderful trip. So sad about the fire destroying the entire town of Dukezong; it's such a huge loss . . . . 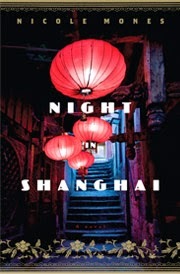 Your books sound so interesting; I’m definitely adding “Night in Shanghai” to me teetering pile of to-be-read books . . . .
You've made my mouth water, which is saying something since I'm not a fan of Chinese food, or at least what we here in the states consider Chinese food. An entire village destroyed by a fire. It's just so sad. Like you, I'm sure it will be rebuilt, but it will lose it's charm. I bet you can find a novel in that somewhere. Nicole, I LOVED the Last Chinese Chef--so excited to see you have another book out! Do you have a lottery for guests for your next trip to China? i want to be on the list! Thanks for stopping in today. ps, do you read or speak Chinese? Letting go of the past, as you say, "it's so China" -- that's what struck me when we were there. That and the pollution. And of course the food. Amazing food. Congratulations on the new book, Nicole! That is heartbreaking about the village burning down.... So much lost. I'm so excited to read your books! First, I want to say thank you for the lovely blurb you gave to my debut novel, "The Map of Lost Memories" - I have always treasured it because I have been a fan of yours since my days working at the Elliott Bay Book Company in Seattle. Your story about Dukezong is heartbreaking - but I understand what you say about it. I lived in Saigon 20 years ago and have watched the destruction of the city in a much different way, but still - the result is the same. Newer, shinier ... and yet in the end, raising many people who once lived in poverty to a new economic level. Thank you so much for sharing with us today. I'm looking forward to reading your new novel. Now, I must go eat - your food descriptions set my appetite in motion! Nicole, your friend was so lucky to have you as her guide in China. I've always been fascinated by the country, but more in the places like Dukezong than the large cities. How fortunate that you were able to visit Dukezong in its "natural" state. I remember reading about its demise and lamenting all that history going up in smoke. Hallie's comment about letting go being so China is in line with any books I've read set there. The food mentions sound fascinating, and I would imagine rather exclusive in their quality to actually experiencing in China. With your obvious immersion into the culture of China, Nicole, I am excited about adding you to my list of authors and books to read this year. I'm betting that Night in Shanghai will feel just like that. Nicole, I'm adding a food trip to China with you to my bucket list:-) I learned to love dive-y places and street food in Mexico, and I imagine China is similar in many ways. The food sounds wonderful, and I must read your books. A recommendation from Rhys and from Kim is a double-star for me! Nicole what a great story about people who prepare delicious foods! Oh, and the village... but they will rebuild what they couldn't save—a whole new village. I would love to do a food tour of China. How fantastic! Thank you. Hello, and thank you for coming by. Yes, Lucy, I do speak Chinese, but only because I finally went back to school at night to learn in 1982, after 5 years of asking for the toilet and being sent someplace else. I don't write, except laboriously and next to a stack of dictionaries... and now, of course, a magnifying glass! Those Chinese characters were the first thing that went out of focus. Hi Kim! Nice to hear your e-voice. It's interesting that you noticed a similar dynamic in Vietnam. 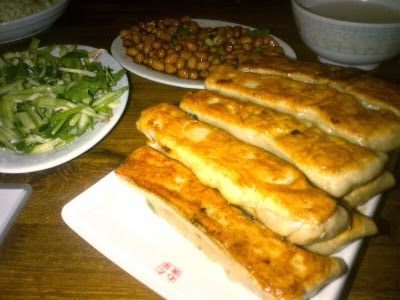 For everyone who would like some great Chinese food, please check my website not only for Chinese cities but also L.A. and S.F. Hope you enjoy Night in Shanghai! Jazz, War, and the Holocaust. The Naxi minority town of Lijiang, about 4 hours' drive south of Dukezong, was totally leveled by an earthquake in the late 90s. They rebuilt it as a replica 19th C town, pedestrian only, ultra charming, and it's a massive tourist draw. Locals make more money (sans pollution, btw). Will it save the Naxi culture? No, but it did prompt the Chinese to fund teachers and scholars and an institute to slow down the extinction of the Naxi ceremonial language, Dongba, which they say is the only pictographic language still in use in the world. That was the place with the great griddled eggplants. At least they realize culture is worth money! Most cities in China were too slow to grasp that. As it sounds like you noticed, Hallie.